Annual Cost Savings $5,400 per Automated Pill Dispenser. Reductions in medication prompting visits. Assistive technology, as the scheme illustrates, can support people’s independence. “Creative use of technology is an essential component of supporting people to regain control over their lives,” says Paul Davies executive director of adult social care and inclusion at Walsall council and regional lead for assistive technology at the Association of Directors of Adult Social Services (ADASS). Reduction in hospital admissions as a result of accidental over- and underdosing. Fewer home visits (needed) to remind people to take their medication. 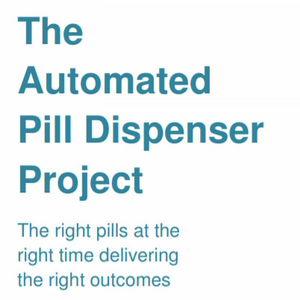 "The right pills at the right time delivering the right outcomes"
Study Findings Click here to access the findings / resources including the full report (Automated Pill Dispenser Project saves social care and the NHS £431k). Learn more about the Automated Pill Dispenser used in the clinical study. 2. Although the device is aimed at people with poor memory, such as those with Alzheimer’s and dementia, it also benefited patients with Parkinson’s, mental health issues, learning difficulties, physical difficulties, patients with long-term medical conditions on a daily pill regime, and the visually impaired. 3. The data collected showed significant savings have been achieved. In total the participants generated savings of £431k, an average of £1,700 per person over a six month period (annual cost savings of $5,400 per each Automated Pill Dispenser). 4. The two largest areas of savings are from reductions in medication prompting visits at the patient’s home and reduced hospital re-admissions for those on the pill dispenser. Home visits amounted to £107k i.e. 52% of total social care savings, and hospital admissions amounted to £151k and i.e. 68% of total health savings.